Have a lovely Autumn everyone! Happy Equinox! Thank you, happy Autumn to you too! 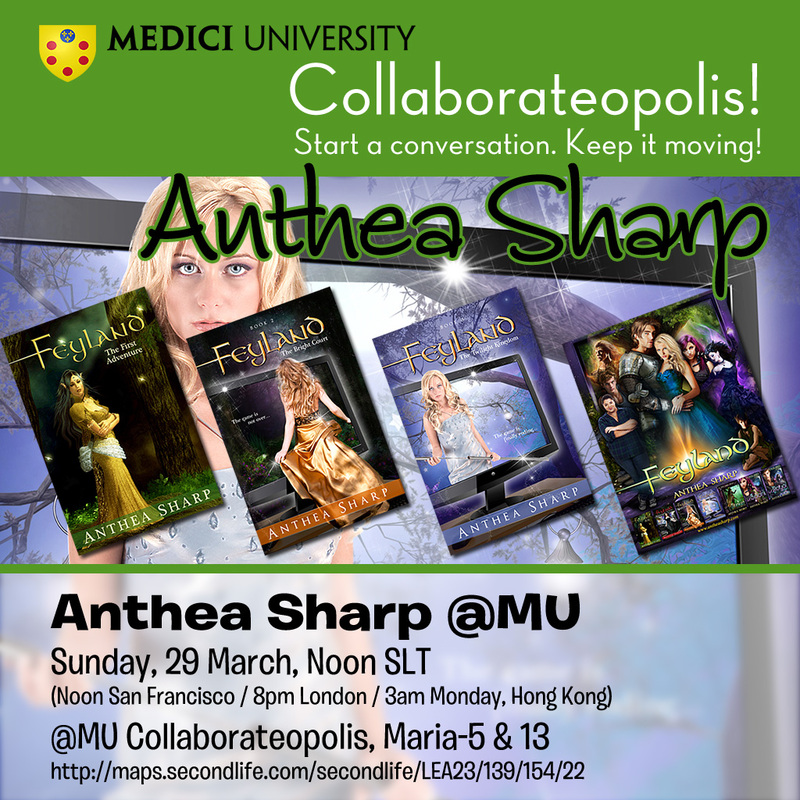 MU Talk | News & Discussion about your program @Medici University! Happy Day 28 (Friday) everyone! We have a new Flickr Group for our new College & Spring Semester! Finishing up a indie film project, and dealing with being an Arts Commissioner in Santa Monica. Hi Izzy, still making art, here and there. What an amazing semester! Thank you all! Congratulations to everyone!! Congratulations on one of the most unique LEAs to be funded. The execution was superb. By trusting your instincts, you allowed all of us to shine. What shone through was more than just an exhibit of virtual art but a 24/7 performance of how creation is done. Bravo! to you and everyone involved. Thank you Izzy! Congrats to all. It was great to work with MU learners in this great environment, and to actualize an identity as a learner after all of these years wandering the grid just looking handsome. Thank you Izzy and gang. Hello All! I’ll be off-campus Fri-Sat-Sun-Mon. I’ll be back on Tuesday. If you need help with anything you might try Oona, Myra, or Chaplain Beedit. They should be able to eject griefers, return stray prims dropped on your studio, or offer any advice or counseling you might need. In the unlikely event that anything cataclysmic happens and you need higher powers, don’t hesitate to contact someone from the LEA Committee. 2 good choices would be Solo Mornington or Patricia Anne Daviau. Cheers – if something does come up and you don’t find the backup folks listed online, you can always send requests to rmarie.beedit@gmail.com. Happy June everyone! We’ve got 1 month left at LEA23 and I’m happy to report that we’re in great shape with prims. When we started the per studio prim limit was 150-ish. About a month ago I raised it to 200-ish. The new prim limit for our final month at LEA23 is that there is no prim limit! • Try a crazy new sculpture! • Rez another fancy chair! • Put out the jacuzzi and hang out w classmates! BAOC Awarded to Emma Maybe! Emma being modest and Me dancing with joy to an Ithaca Audio live mashup as I present the 12th weekly BAOC Award to Emma! Last week’s BAOC Award Winner, Alexandre Lois declined to award someone new, so I’ve restarted it today, appropriately enough on Emma’s return to campus! Emma has a brand new trophy, made of the finest plywood and sanded to a perfect .5 x .5 x .5 meters. On campus Emma has been a true Big Avatar On Campus, always greeting and engaging so many people. Always taking an interest and sharing genuine concern for campus colleagues. Awesome as Emma’s on campus contributions have been, her extended vacation has almost been more remarkable. Off on a long 6-week, SL-free trip, she’s used Slack (and hacked poor Slackbot with Rick Astley!) to remain a vital part of our campus conversation. Emma’s desire to be a part of this community has transcended even 6 weeks off-world. You can’t ask for more than that. You can’t dream of more than that. Congratulations, Emma. It’s so good to have you back. Yay Emma! So glad you are back on campus again. Nice post, Izzy! You write delicious prose. aww, thankies Neeva! You stack delicious prims. It’s not a mesh vs prims issue. Secondlife needs to update its building tools so you can create mesh in-world. I had a nice chat with Elle today about how our campus policies make it difficult for learners with different needs to get around. I explained that No Fly, No Skyboxes, No Point-2-Point TP were all intended to make us walk around more and see what different learners on campus are working on. To help create community. We reached a sort of compromise that maybe No-Fly and No-Skyboxes aren’t really so problematic, but that if people who had different hand or vision circumstances could direct TP to places, it’d make campus navigation a lot easier. Direct Point-2-Point TP is now enabled in all 4 parcels of MU. LMK if you have any trouble with it. And I’d still encourage you to walk around and see the work! This is a good move. I think many of us who are used to walking about will continue to do so, although it will be nice if there’s a class and people are late to have that ability to tp to the spot. I agree. Some times I have gotten lost or my computer got slow as mud for a bit. Being able to have point to point at those times will be nice walking about also is good I love that. This allows for all of it. direct Tp – what a great idea. Thank you. Like Drag Queens, Native Americans, Abuse Survivors, Bloggers, and way too many Avatars, you can now add me to the list of people Facebook has banned because they don’t like my name. Goodbye Facebook. You will not be missed. I shot a little video today from the passenger seat of Claire Namiboo’s Campus Shuttle. It’s a nice peek at some of the studios on campus on 24 May ’15. Thanks to Claire & Snowflake & all the artists! * Medici University campus design by over 6 dozen participating artists. Sweet machinima, Izzy. I think Claire’s Neko Rail is great. In an effort to make easy access to all of this content, I’ve indexed everything MU on Pinterest. Except for this MU/Talk part, which is 262 posts and too daunting! Sadly, Pinterest forces you to make a (free) account to view the content. Lame, I know. But if you already have a Pinterest, or don’t mind signing up for one more thing, the index might be helpful. I hope so! LMK! What an organizer you are! That’s a useful way to find things we’ve overlooked. /me stifles an insane oxymoron-inspired grin. This is a great example of well-presented documentation and I enjoyed reading it. Just like the Internet itself, at MU, Collaboration Rules! And no one’s doing it better than Pearl’s Story Board series. In her new Man, Woman and Dog project, Oona, Elle, Paypabak, Veyot, and Neeva all offer their vision inspired by Pearl’s image series. You guys are so awesome! This isn’t the newest collaboration; it’s the first one of four that I’ve done. I’ve been posting them to my MU journal blog. It’s come to my attention that content is wanted for MU Creativty and now to KPO Gallery which (yay!) wants to include some writing too. The project has been changing, as projects do, by discovering easier ways and being told what is ‘wrong’ in the eyes of others. This first image/story had only four pictures and five submitted stories. The next two sets of photos, while interesting, were much more ‘prompts’ than photo art worthy of display. The last set, well I did a lot of work on it and it has seven pictures and two stories besides my own. Consideration was given to presentation in the gallery, which Myra is planning for this week, and to the presentation in MU Stories. This first set was the best choice for that. Art Ojula and I are almost ready with the next and last image/story project which has been planned for better presentation on MU Stories and the KPO Gallery. There will be about five weeks to write, it’s very flexible and I will be sending out personal invitations if need be. It’s interesting that so far, some of my favorite stories are from people who say they aren’t writers! Thanks for all the background info and for clarifying my inaccuracy Pearl! Wonderful project! Keep up the fantastic work! Hear hear! No one is doing it better! Great work Pearl and friends. Writer’s Lounge @Tullia OPEN NOW! Tullia is the place this weekend! New Flickr Group: MU Fine Art! We’ve got a new flickr group just focused on the beautiful 2D images, from digital design, to figure studies, to conceptual art, that you all create. It’s been brought to my attention by multiple MU learners, that I am a poor communicator. I apologize to the campus community, and individually to those I’ve harmed. For however much longer I might stay on as provost, I will redouble my efforts at better, and more, communication. The people I’ve upset have in general wanted more IM communication. I appreciate that most peeps in SL prefer IM as the primary form of communication. I will try to honor this, however I further believe that as much as can be public, should be public. This is why I prefer talking in VB Friends chat over local chat, and why I like posting here on MU/Talk – they are public forums accessible by the entire community. In an effort at better communication, this will be the first of many “Transparency Reports.” Today’s topic is Money. A number of people have asked me if, or accused me of, making money off the backs of MU Learners. I’ve answered that question privately in the past, but should have made a full public declaration sooner. Is some RL University or other institution paying me or funding me in some way to operate MU? I do not receive a grant, stipend, reimbursement, or any funding of any kind from any institution or individual, RL or VR, for operating MU. The only entity putting money into MU is my personal bank account. Am I making money off the work MU Learners contribute in places like MU/Creativity or in any other way? I have not in the past, am not now, and will not in the future, collect any kind of money for any work by myself or anyone else at MU. The work seen on the 4 MU websites: MU/Home, MU/Talk, MU/Creativity & KPO! is owned by the individual authors. I do not take any part of anyone’s copyright in any way. My own work is licensed Creative Commons Attribution. You are free to use, reuse, remix, and even sell my work. You do not need my permission and you do not need to, and should not, compensate me in any financial way. Everyone else retains the copyright to their own work and may sell, license, share, give away, or not, as they choose. What is my total income and outgo from MU? 0. I do not receive any income, funding, ad revenue, or any other sort of compensation, RL or VR, for anything related to MU. 1. I paid Myra about L$3,000 L$8,000 for the KPO! audio stream. 2. I pay models for the life drawing class L$250/hour. 3. I have purchased some art from a few MU Learners. Typically I have paid L$500 for a single, no copy, 2D, artwork. A couple of MU Learners have given me pieces at no cost. 4. When I dance at KPO! I tip DJ’s and hosts. Typically L$100 or L$200 per person. I will try to do as many Transparency Reports as possible. I’ll try to make clear not just things like this financial report, but also what’s going on on campus, what decisions are made, how they are made, and how you can have input. If you have questions about anything, whether personally about me, about MU, about policies, procedures, activities, choices, past or present, don’t wait for me to get around to talking about it. Leave a comment below and I will address your question in my next Transparency Report. I will try to do as many Transparency Reports per week as I possibly can. Thank you for your support on those occasions when I have had it. I apologize for those occasions when I have lost your confidence. You’ve paid more than 3,000L for the audio stream, Izzy. The cost was 2000L per month. You paid for 4 months. I paid for a few weeks, but you picked up all of the rest, so your costs were more around 8000L for the audio stream. You are welcome to any of my art at no cost (As if someone would pay for it.). One simple truth about SL, people don’t make money here. Yes, there are a few merchants who are exceptions, but the vast majority of people in SL who create or build are doing it for the love of it. Imagine that. Izzy, I know we’ve had our issues, but thank you for MU. It’s a wonderful place. You have my love for bringing it into reality. Thank you Myra. I’ve updated the text. Just to clarify, if it’s confusing. That money didn’t go to me. It goes to LuschAudio streams. Izzy just gave me the money to take care of the task when we were setting up KPO. Its odd to me that ppl are inquiring about money stuff. But I understand that maybe the whole behind the scenes is confusing to understand. I appreciate what you’ve put into MU both financially and emotionally. I don’t make things but if I did, you’d be welcome to them for free. The notion that people are making money from MU has to be fomented by people who had little exposure to VB Friends before coming to MU. The cost of setting up all of these tools. The money thing has never crossed my mind but I’m more comfortable with transparency so thank you for this. You or anyone could have anything I make; all you’d have to do is ask. Oh thanks for being so transparent, a more interesting question though, is how we could (ethically of course) make money from our involvement in MU? For the record I don’t think being compensated for labor is a bad thing, I think not realizing that what you are doing online is labor is. Yes Feels, this is a massive and fascinating question. If it’s not a huge topic already, it will certainly be in the next few years. 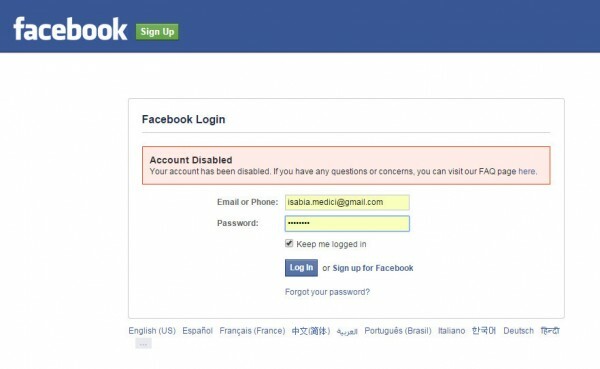 By now we all realize that we are not Facebook’s Customers, but their Unpaid Employees. I think for most people who enjoy using FB this is a reasonable exchange: value production for FB in exchange for photo sharing with relatives, etc. If you’re familiar with TurnItIn software that compares student essays to a large database of essays to check for plagiarism, students in Canada sued TurnItIn for profiting from their unpaid labor by making their work part of the company’s uncompensated, and for sale, database. As you might know, Protein Folding is among the most complex tasks we know of. Apparently there is a “game” out there that lets kids have fun solving puzzles while they’re actually finding solutions to very complex protein folding problems. Since protein folding can be considered a public good, we might like the above game. Then again, Iran has photos of everyone who participated in demonstrations, but not their names. Kids half a world away could play a face matching game, or uninformed workers at Mechanical Turk could earn one cent, for matching drivers licenses to street cam photos which might ultimately lead to arrest and execution. Or, as you suggest, perhaps not the public good of protein folding nor the sinister qualities of a repressive regime, but simply the Facebook like “harvesting” of work. Certainly in my own personal case, using SL has generated a significant amount of repeat sales for the nVidia company. As far as I know, the only “Meta-earner” from MU activities is Linden Lab. Oh, I should have included uploading about 300 textures or L$3,000. Oooh cool more information. How long have you been working for nVidia? Basically, I question the notion that FB or SL is something you do on your ‘free time’ – as if it were any less authentic than real work. How we start compartmentalize our attention (and identities) according to these fallacies is interesting to me, because instead of having multiple processes (internal and external) working in tangent you reproduce the conditions of society (competition in the marketplace) by assigning a value system in which one thing is considered work and another a waste of time. You always do something at the expense of something else…To an artist, everything is work, everything activity is on an equal playing field. I don’t get your protein folding analogy could you elaborate? Also – I apologize if you felt accused by my line of questioning in the essay published in MU Creativity. The thing is, when you start thinking of the ‘big picture’, someone ALWAYS profits from our activity online, and when I ask readers to speculate on that it’s not as simple as asking which individual in MU is exploiting us. My default state of questioning is not how people are being consciously manipulated, but rather, how they unconsciously start serving a pre-existing order when they take their online engagements for granted. I am suggesting that there is a lack of transparency over what constitutes work/ play distinctions when we blog, create and generate material online, and from that we unconsciously start producing labor unaccounted for. If you read that paragraph as being accusatory of MU being some kind of accusation of MU being some crazy Money-laundering scheme that is NOT what I intended, at all. I agree that direct communication is the key, I’d have brought this up directly if someone asked me about what I meant in my essay rather than assuming things from a distance, which is more of a point of contention for me than anything else really. I’m glad that you posted this nonetheless. The thing about the University’s Discourse essay I posted before is that it is self-reflective, about the shifting parameters of my consciousness WHILE I blog, trying to account of things that I may not be conscious of when trying to engage in a kind of discourse. Would this have been an issue to you had you brought this up with me during the editorial process? The normalization of work/ play distinction, of course, being part of the ‘univeralization’ of the subjective split I mentioned in the essay. You’ve never lost my confidence, Izzy. Nor would it have ever occurred to me to think you are making money off MU. I think you have given very generously of your time (and apparently your money). Thank you so much for all you do. I’m grateful for the opportunity of MU. Izzy, if you figure out how to make money off MU you are a money making genius and I will sign up for your next get rich quick seminar. One thing I enjoy about MU (among many) is that it is not the equivalent of a giant vending machine like so many other sims. Making money here isn’t really anyone’s goal. Very refreshing. Finally, you are not a bad communicator. That is an over generalization. You can communicate quite clearly. Leadership of a unique organization like this is a highly complex skill. No one gets it right all the time. No one pleases everyone all the time. It is just not possible. Thank you for setting in motion and nurturing a great overall experience. Thanks for your complete successes and your partial successes, and most of all, for your generosity it nurturing this crazy, delightful place. Do you have a video too? Drop your URL in the comments below and I’ll add you! On the home page and don’t want to be? Just shout in the comments below and I’ll take you off. Want a different video there? Just drop your URL below! Izzy, I see only one video Veyot. No other video. Click the Arrows, or the Dots Alexandre. They scroll! wow, cool. It is very nice. Wow, the MU Flickr group now has 729 pix from 40 members in it! We’ve been busy!! Thank Astrid for her challenge. It’s been inspiring and fun. I agree, Astrid’s Challenge has been great for me too. Very fun. I feel like such a rotten lazy bad non-person person. I have not even participated in the challenge! I deserve a good lashing. Aww, no beating up on yourself! We’ve all got different schedules, priorities, paths! And besides, all the cool stuff others are doing is only because you brought it up! You empowered others!! I’ve heard about a few incidents recently where 2 or more MU Learners have gotten into a bit of a spat over something. In most cases it seems like no party is being all that mean-spirited, but that we just have different ways of being in this world. We can get along. Definitely. I am just loving the spontaneity and communication going on. Hugs to all! 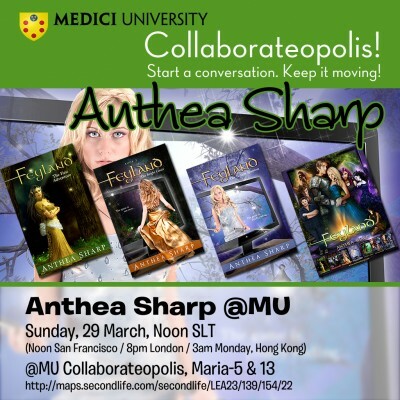 Neeva’s arranged for Anthea Sharp to speak @MU @Collaborateopolis @Maria-5-13 @Noon on Sunday! Did you catch how many awesome things happened @MU yesterday!? Yay… Fawkes sounds dirty though. lol While I miss my old neighbourhood, I’m enjoying the process of rebuilding in Vashti. Although I’ll always be a Nostro girl at heart. pours some liquor on the ground for my homies back in Nostra As for moving every week – I’ll have some of what Izzy is smokin’ BUT if i was challenged… i do have a hard time resisting a challenge. 😛 Please don’t challenge me though…. cries lol Wishing Feels the best in Nostra! Hope your first keg party rawks! Yeah, a lot happened on Friday. But did you see how much happened on Sunday! So much activity on campus, both formal and informal. I’m afraid our calendar will never be able to capture the spontaneous stuff like the pink-pillow-bus sky tour or Onna kickboxing my tower until it collapsed while a crowd cheered her on. You just have to be here to get in on that good stuff.